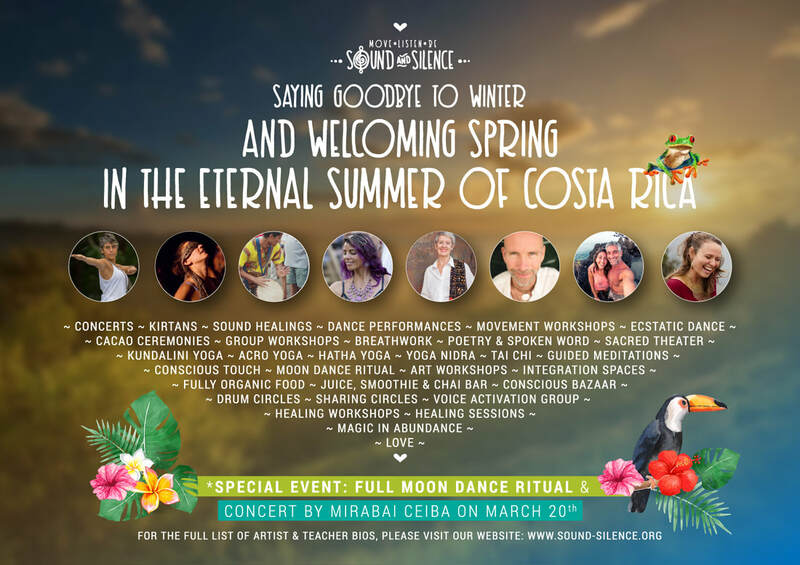 After setting the plan for my February Song & Breath retreat in Costa Rica, I was very excited to be invited to play at this really special week long gathering, which I had wanted to be involved with since I found out about it a few years ago, when it was in Corfu. The gathering will be full of incredible musicians, dancers, poets, body workers, healers and much more, all held in the heart of Costa Rica, surrounded by jungle and beautiful nature. I can't wait! Share the Love Programme: If you are interested in this gathering, Susie has several discounted tickets available, so please contact her at susie@susiero.com for more details.